The Academy Award®-winning (best actor Jack Nicholson, best actress Helen Hunt) offbeat comedy celebrates the unique bond between three very different characters. Also stars Greg Kinnear. 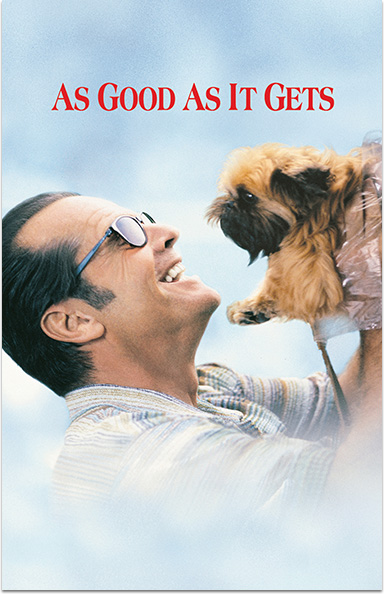 AS GOOD AS IT GETS © 1997 TriStar Pictures, Inc. All Rights Reserved. Academy Awards® is a registered trademark of the Academy of Motion Picture Arts and Sciences.